Do you have an actual question? Nope, it’s just a statement. Waiting to see if someone can point out anything I’m missing before I report what I believe is a bug. ok now we are getting somewhere. What do you think is a bug? 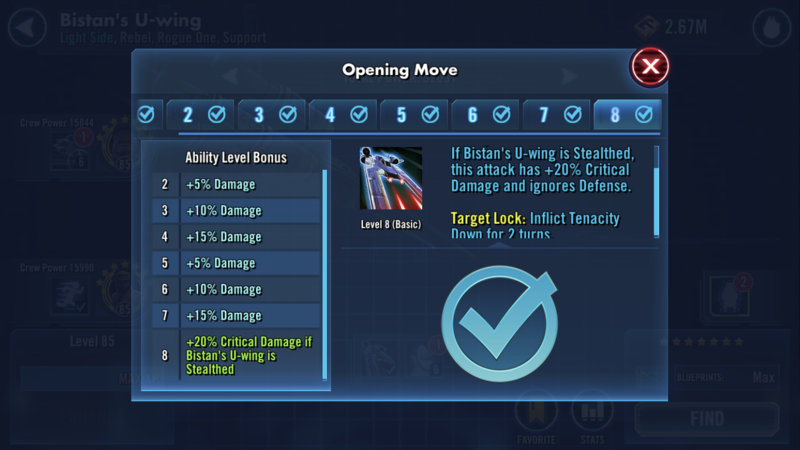 Ok, I thought the pictures were enough, but Bistans basic says it ignores defense when stealthed. So why does it hit for a 37k crit against Houndstooth but a 56k crit against spy? That’s not normal damage variance. 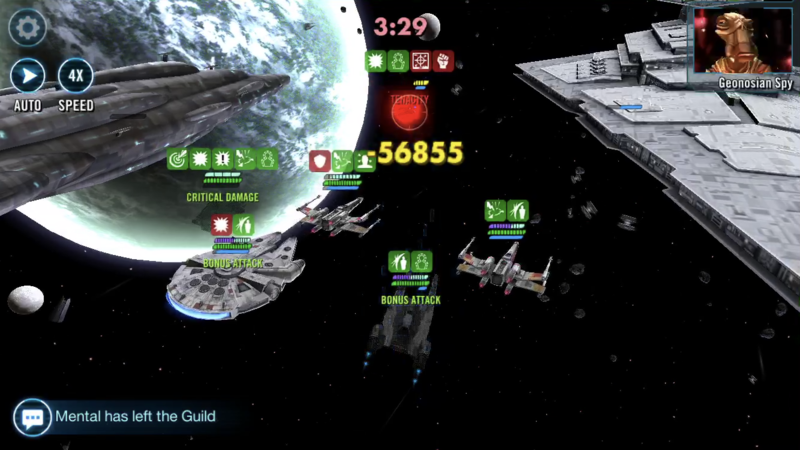 Per SWGOH.gg, my Bistan (9741 offense) should be getting crits for 68k under an Ackbar lead with a maxed basic. 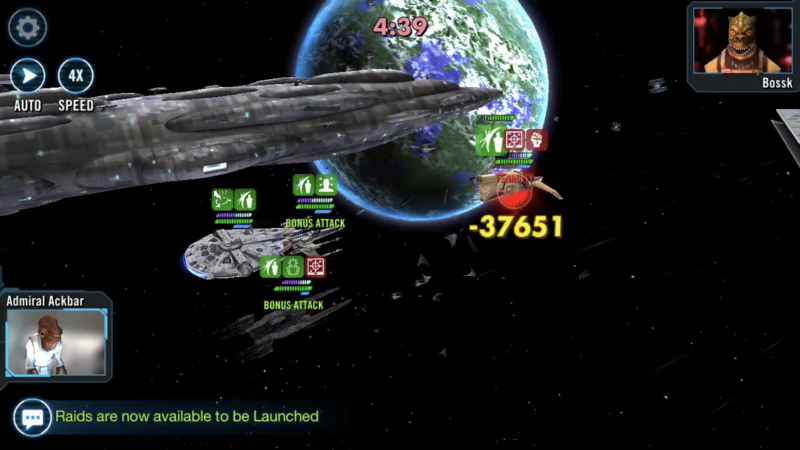 Edit: 68k is only when attacking out of turn, for the Ackbar bonus. Both pictures are bonus attacks. maybe next time you lead with this explanation. if you feel thats a big Please report this to Answers HQ.